This is a combination of cooked vegetables I often have in my refrigerator. 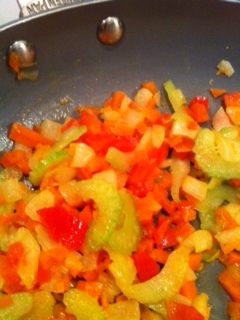 I will add it to other steamed or sautéed vegetables, It could possibly top a piece of fish or mix it into cooked rice. When dinner needs to be fast, this is a great time saver, not to mention, it is delicious. 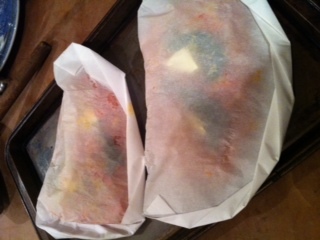 This entry was posted in Recipes and tagged baked salmon, Fish, parchment, vegetable mixture. Bookmark the permalink.